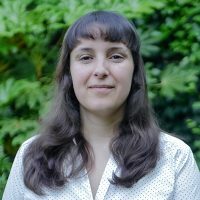 Yalena leads the Urban Technology team at Future Cities Catapult, which facilitates the testing of new and emerging technologies in the advanced urban services sector. The team builds innovative concepts and ideas into different types of working prototypes to be deployed across cities. These pilot projects are in response to urban challenges that need to be addressed, and once scaled can used to improve life in cities. Yalena draws on her 16 years of experience in the technology arena across various industries in Europe, Asia and Africa.